The price is $39.95 shipped. 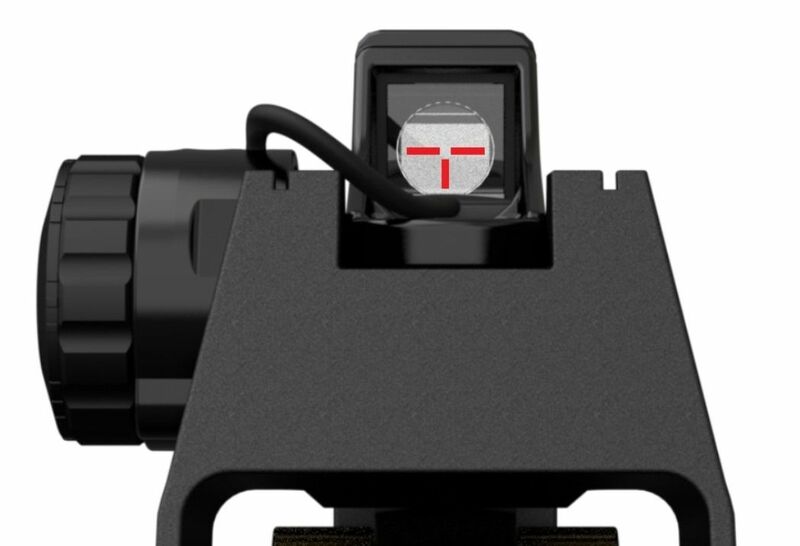 For all of you that want a usable Sight and don’t want to spend $400.00 to $600.00 to replace the White Ring Sight - THIS IS YOUR ANSWER! 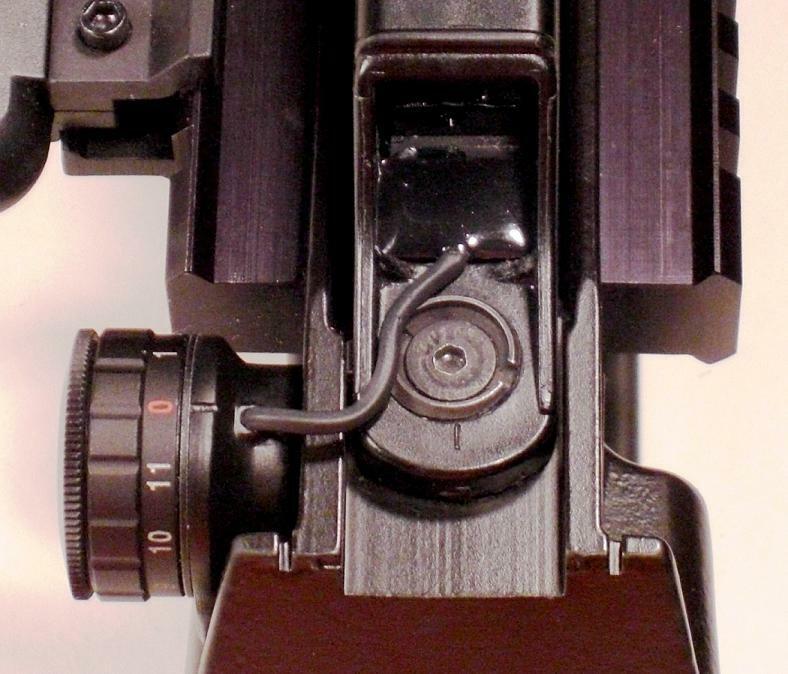 The Reticule Enhancement Module T Bar 3 (REM T3) fixes the problem that is inherent in the White Ghost Ring Sight of the P90/PS90 Weapons System. We all know in certain low light conditions or when aiming at bright or light colored backgrounds, the Ring Sight looses its sight picture. When that happens just turn on the REM T3 and you will get a sharp T bar sight picture. 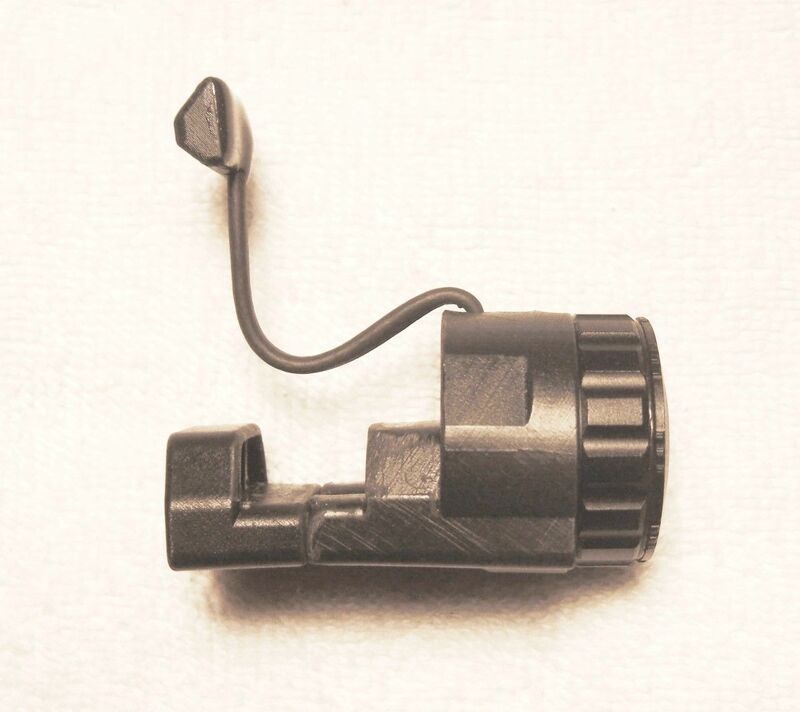 The REM T3 Illuminates the T bar of the Ring Sight via a colored LED that sits in the rear light collector well. The LED color only comes in RED. The LED housing is made of a hard plastic that is sized to create a tight friction fit. There is no need to use tape or glue. Just push it down into the light collector well and it stays put. 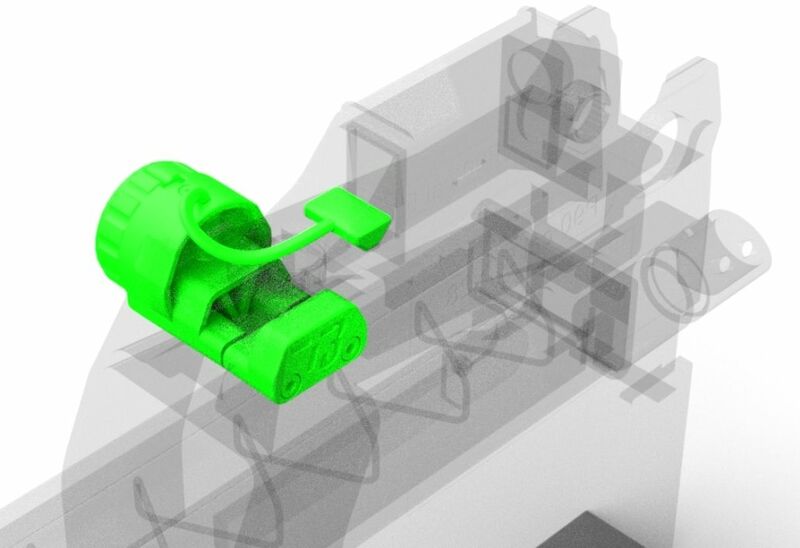 The LED housing was designed to sit low in the well so it will not interfere with the FOV. The REM T3 has 11 illumination settings so the T bar can be seen outdoors in daylight on its brightest setting (even against snow or white backgrounds) or in total darkness on its lowest setting. 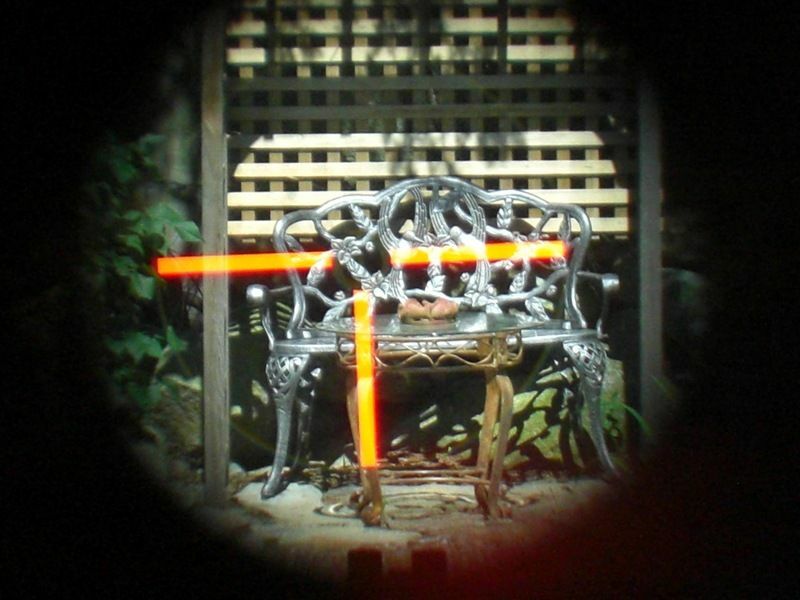 The REM T3 does not interfere with the Tritium illumination of the Ring Sight. The REM T3 fits in the sling well just under the Ring Sight. It is ambidextrous so it can be mounted on the left or right side of the rifle. The REM T3 uses one CR2032 3 volt battery (included.) The battery life is 168 to 390 hours of continuous use depending on the LED color. The REM T3 has a 1 YEAR Warranty. I will replace it if it fails due to a manufacturing problem. (I will have to examine it first to make sure there wasn't some other factor that caused the failure). You just pay for the shipping ($5.00). If after 1 year a manufacturing problem should occur... contact me and I will see what I can do for you. Include your full name and address and LED color choice so I can put you on the order list. Thank you for purchasing this upgrade to your PS90 Ring Sight. 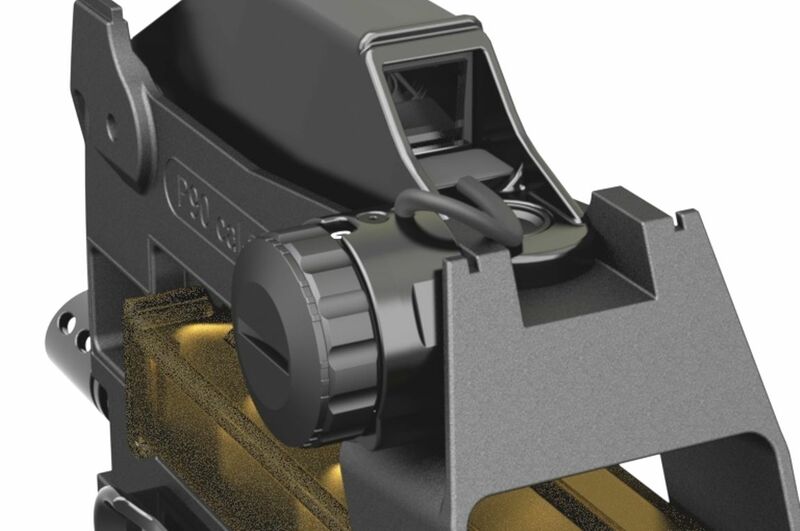 The REM T3 was designed to maximize your shooting pleasure by fixing the deficiencies of the Ring Sight. 1) Place side A (Rheostat Housing) on one side of the Sling Well and side B on the other side. Tighten the mounting screws until both sides are secure. Use the Allen wrench that is supplied for this procedure. (DO NOT OVER-TIGHTEN to prevent damage to the screw pins on side A.) You can use BLUE thread locker if you like but it is not necessary. 2) Look inside the well area to make sure the area is free of excess glue. If you have glue protrusions cut them out with an exacto knife/razor blade. You can now turn on and use the REM T3. To remove the LED housing from the Ring Sight, use a flathead screwdriver to pry the housing up and out of the light collection well. •Do NOT bend the LED box where the wire goes into the top, it may break it because of the stainless steel support wire. •Do NOT pull the wiring up from the body. That may break it also. NOTE: The REM T3 does not interfere with the Tritium Bar so in total darkness you can still rely on that as a light source if desired. NOTE: You may notice a little light leakage out the top of the glass that is in front of the LED housing. You may place a strip of black vinyl tape over this area if you chose, to eliminate the small light leakage there. This use is optional and most users find it unnecessary. NOTE: When using the REM T3 in total darkness, with no tactical lights in use, you may notice a slight glow on the front light collector within short distances (less than 10 feet.) This does not interfere with use of the REM T3. You can place a small piece of vinyl tape to cover the front light collector for these conditions. The use is optional and most users find it unnecessary. 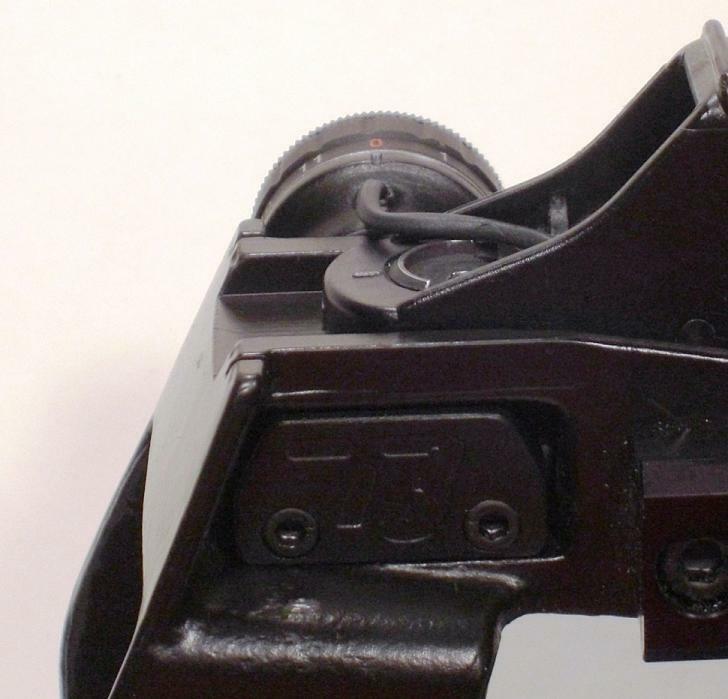 If you choose to use tape, place the tape on the side of the Ring Sight for easy accessibility. Hold the “numbered part” of the Rheostat so it doesn’t turn. Turn the outside Rheostat battery cover counter clockwise to remove cover. The REM T3 uses one Lithium 3volt CR2032 battery. This package contains ONE spare battery for your convenience. 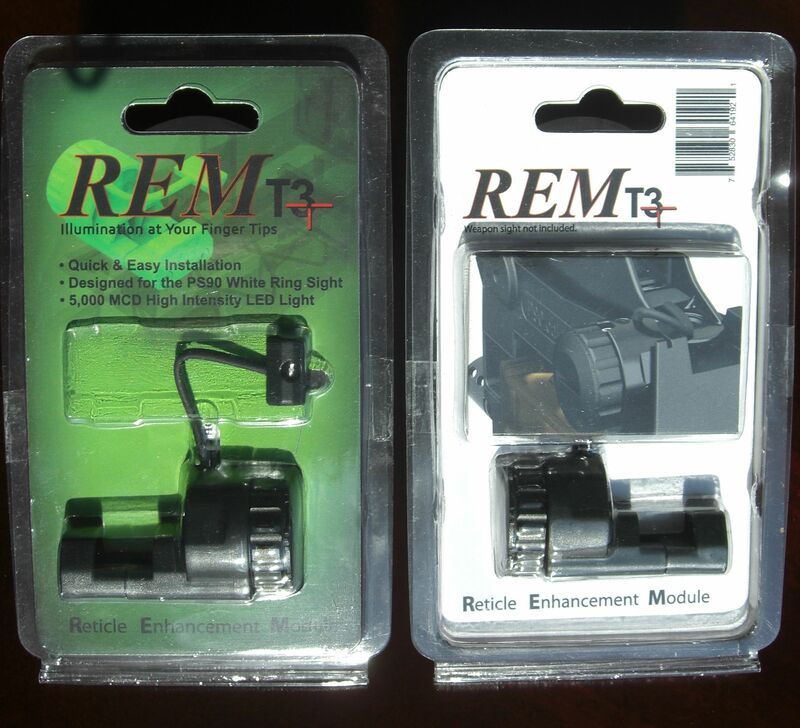 We hope you find the REM T3 to be a great enhancement. We invite your comments. If you have any questions, concerns or comments, please contact us at 978-852-8584 or [email protected]. 1)	Insert the LED Housing into the Light Collection Well at a 45 degree angle. VINYL GASKET SIDE FIRST. Make sure the top of the Housing is lined up with the top of the glass. 2)	Press down the other side of the Housing so it wedges between the Ring Sight walls. Sorry about losing this thread and the previous posts. It was locked up and I couldn't make any changes so I had to restart it. M1P90 wrote: Sorry about losing this thread and the previous posts. It was locked up and I couldn't make any changes so I had to restart it. I know I brag on mine every chance I get, and I love showing it off to folks. 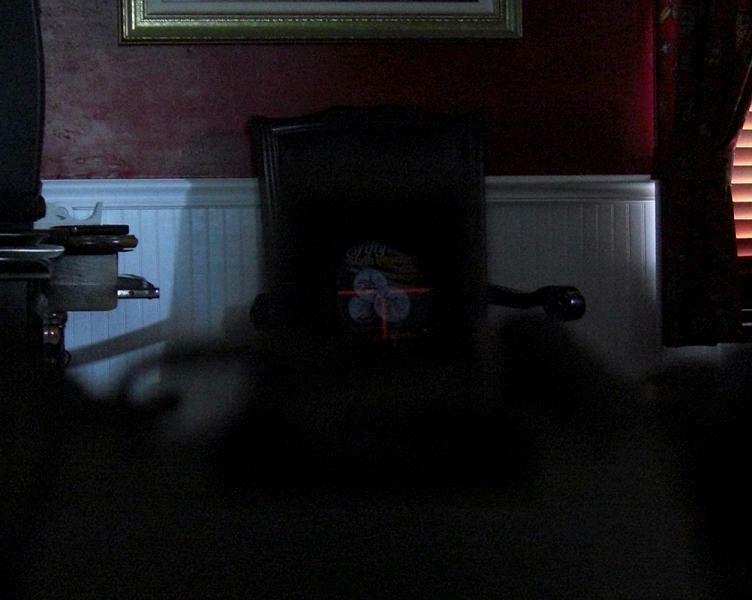 I think the reticle enhancement is as much of a showpiece as the PS90 itself! I just ordered one today. I can't wait to get it! dapenko wrote: I just ordered one today. I can't wait to get it! I have 50 red units , 6 green units, 6 blue units and 2 amber units in stock right now. I supply Magazineparts.com with the red units and they usually order 20 at a time. 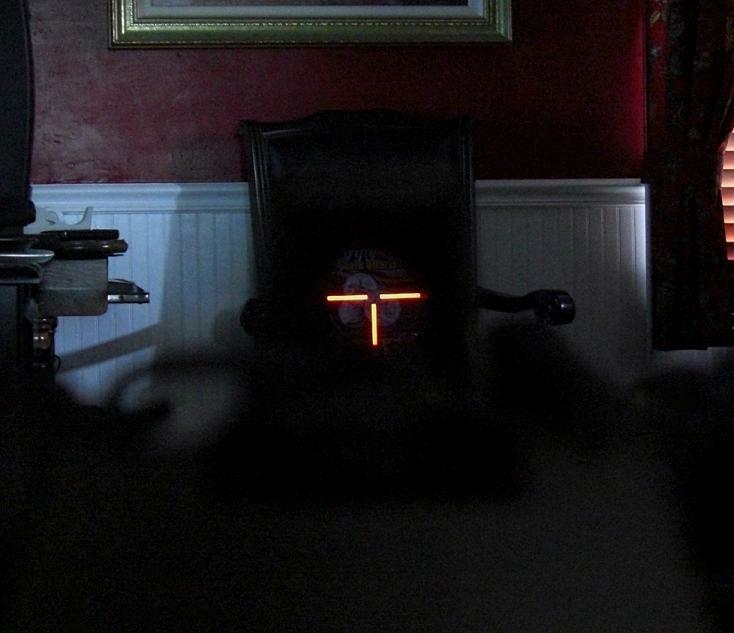 My red reticle enhancement light arrived Wednesday. The biggest mistake I made, I not getting one along time ago. I can not believe how great it work. I no longer have to search for the cross hairs, they are just waiting to "jump out at me". Besides the unit being so great, the price is even greater. Thanks, from a very, very satisfied customer. I'm glad you sent two batteries. I took my PS90 out of it's case today, found the light switch on. 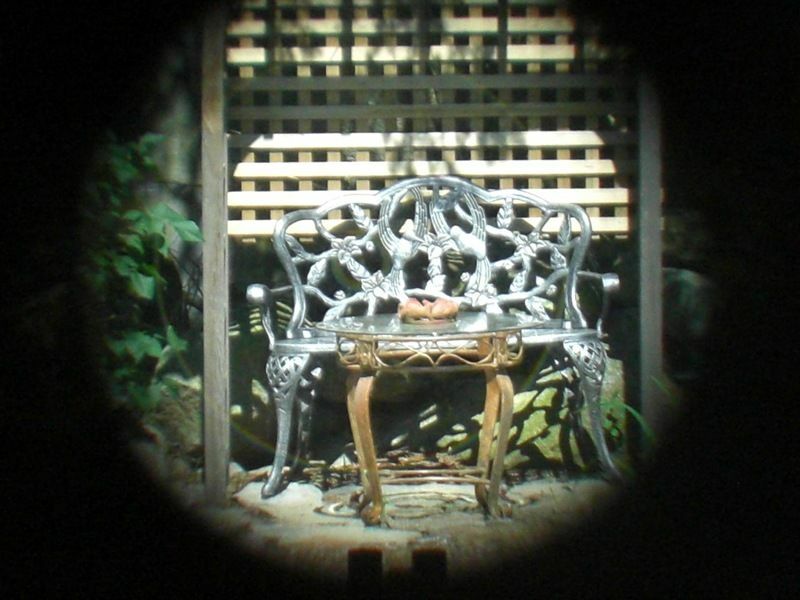 The reticle was still lit, of course it was not as bright. I'll have to get another battery to make sure I have another on hand. I can't believe it lasted so long. I always keep a couple of those batteries around. They are probably the most popular of the "coin" style batteries used for scopes, etc..
Wallyworld sells them in two packs. I got the blue. I LOVE it!! REM T3 Battery test results. The Red color lasted 220 hours of continuous use. I was looking at your examples above... I used to sell nite sites and always got the question about which color to choose.... Well, ROYGBIV was my initial theory initroduced.... Guys would buy red and bring them back, "I can't see these things..."